Vulnerabilities, Phishing, Internet Privacy only relate to big business, right? Well, we would have to say that you’re totally wrong. Cyber security is a problem for everyone, from the end user at home to the large organization. It is definitely something we all need to be concerned with. Don’t believe me! Well maybe you will after I show you how vulnerable most home computers, mobile phones, tablets, and any other device that connects to the Internet really are. Yes, we all do the basics when it comes to cyber security. We usually run an antivirus program on our devices, but most of us have overlooked the internet router, a prime target for cyber criminals. Yes, the router is a way in. Unfortunately, you and your Internet provider probably don’t even think about it. Most people simply set up their router once and then forget about it. You never, ever think of the router, unless you begin to have internet problems. The latest malware, known as VPNFilter is targeting the lowly router – and it has already infected over half a million of them. What is the purpose? Having access to all of these routers gives the hacker a huge botnet of connected devices he can control. A simple command could result in a flash memory deletion causing the router to become completely useless and prevent you from getting on the internet again – until you buy a new router that is. But let’s say he doesn’t want to block you from the internet. Instead, he wants to spy on your activity, get access to your passwords, credit card numbers, etc. That is what he’s really after. And once the router is infected with this virus, it can be used for almost anything. Of course, the biggest danger is making the small user an accomplice in a much larger cyber attack. 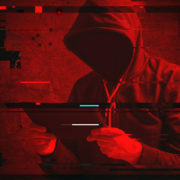 The biggest danger is that a cyber attacker can use these large groups of connected devices to flood large corporate websites, bringing them offline. In fact, there was a case where the Mirai botnet managed to bring down entire internet services in several states of the US for most of the day. Router-based attackes can be so damaging that the FBI has started investigating – managing to shut down a server using the same VPNFilter malware that cyber criminals use to send commands to infected devices. What Can We Do About This Cyber Attack? Unfortunately, there is no real way to tell if your router has been infected. So far Linksys, Mikro Tik, TP-Link and Netgear routers have been hit by malware. But whether your brand of router is one of these or not, it is a good idea for you to take a few cyber security precautions. Restart the router. Although this will only temporarily disconnect from an infected network, it will give you enough time to update your firmware. You can find out how to update your firmware by going to the manufacturer’s website and going to the downloads section. By updating the firmware you apply the latest manufacturer fixes which secure it from the VPNFilter malware. You will need your router’s serial number to get the proper firmware. Check on the underside or back side of your router for the make and serial number. Then you log into the administrator panel through your web browser and install the update. Look for the web address to the administrator panel in the instructions packaged with the router. Normally, you should update router firmware every few months or so since routers do not perform an auto-update. Most routers come with a default password or no password at all. The manufacturer does this on purpose because it helps consumers set up the router easily. Unfortunately, hackers also know the default passwords. Look up the instructions to find out how to change the password via the website offered by the manufacturer. 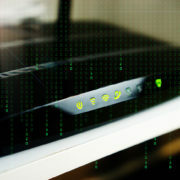 Many routers allow you to access the administrative panel remotely via the internet. This is nice when you first set up the router but you want to turn it off so cyber criminals cannot access and they can also change the settings, especially if you are using the default password that comes with the router. If you notice that the router is acting a little wonky and you have tried all of the above tips, do a factory to reconfigure everything from scratch. It is a hassle and it may not get rid of persistent malware but it will restore your device to its original setup allowing you to make necessary changes. If you think cyber security does not affect you simply because you only use the internet at home, you would be wrong. Cyber security is something all Americans need to be on the lookout for. Just as you are alert to criminal activity in your neighborhood, you also need to watch out for cyber criminals who may be using your lowly router to build a powerful interconnected network and create havoc on the web. The C-suite has a new and immensely important addition. Now, sitting right next to the CEO’s, COO’s and CFO’s is a C-level executive. The Chief Information Security Officer or CISO’s mission is to deal with cyber security conditions. The corporate position is becoming vital in the corporate world because we face an age of Ransomware, Malware and other vulnerabilities that proliferate on the net. Criminals and other cyber thieves don’t need blow torches and nitro to pull off a heist anymore. They need and have an arsenal of cyber burglary tools to do it for them. How Do They Get in So Easily? People are the weakest link in your chain of cyber threat defense. 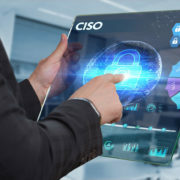 As such, CISOs know they need to keep their eyes and attention on employees who may inadvertently or intentionally open the door to allow access by unauthorized users. The big questions that must be asked are: do your employees have the skills to recognize and combat cyber threats and cybersecurity issues? Are you making sure they have the training and the knowledge to stand up to the ever inventive cyber criminals? And are you – as a company – seeking out and securing the services of people with the skills and talents needed to be a line of defense? A recent research study by ESG and ISSA revealed that 96% said that professionals in cyber-security need to keep their skills on high alert because cyber-foes spend all their time finding new and inventive ways to breach your security. Unfortunately, even knowing that, organizations repeatedly fall behind when it comes to training. That can be because of perceived high costs, or too little time or other excuses. But as a reminder, the costs of putting things back together and salvaging your company’s reputation will be far greater. Cyber professionals stated unequivocally that they want more resources to help in the fight. Undergraduate programs don’t teach much of that. For instance, a 2017 study reported that not one of the top 10 computer science programs in the U.S. require it and less that 25% of cyber threat and security professionals believe that their education gave them the skills needed in the real world, with real threats and real professionals working against them. Because of that, CISO’s may have to do the training themselves or create in-house programs that will do so. And that training needs to include non-tech employees as they are often the portal in by downloading malicious files, opening dangerous links or becoming the victim of a Phishing trip. Make education tools available to all your staff. Create simulations and teach your staff how to react. Use all opportunities to incentivize the use and learning of new skills. Fundamental security online or on-demand courses. Programs administered by accredited resources. 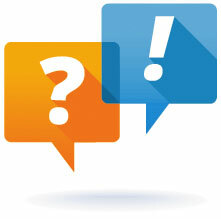 Vendor training so your suppliers know a safe and secure way into your systems. Cyber-security classes, events and simulations. Training labs virtual or actual. They are cost-effective solutions for both new and existing employees teaching safeguards to cyber vulnerability and should have the support of all upper management. Cyber-security should dominate the first days of an employees training and keep being reinforced and updated as new challenges arise. In the end, it’s more about people than it is about technology, so people are where your defense program must begin. You have to hand it to cyber-criminals. They keep finding new and innovative ways to do the same old thing: rob you. And what they are after is the coin of the realm in today’s worl: Data. It’s like a bucket of gold with a “Take Me” sign on it. And worst of all, you may not even know it’s happening. Credential Stuffing. What Is It? It’s a relatively new form of cyber attack where hackers assault a targeted website with stolen logins, and in doing so, they attempt to gain access to online accounts. This gives them access to your Cloud Data, your databases, financial info and more. Worse, this new cyber infiltration even has the big boys heads spinning. A perfect example is Yahoo. They had two of the largest credential thefts in history. And you know that if a sophisticated company like Yahoo can be hacked, you can easily be hacked. However, you can protect yourself, and in some cases, do it better than the big guys. So think carefully about what you can learn here. Credential Stuffing is something you cannot afford to overlook and you really must look out for it. It’s not all that complicated to understand. Hackers enter a huge number of emails, passwords and usernames and barrage a targeted website until one or some of them stick. On a massive level it can be akin to the old, try and try again, until you get in. Once they do gain access they are free to roam around an existing account until they find what they are looking for. Can This Infiltration Method Apply to You? It could. Credential stuffing is now the number one method of cyber attack. A Verizon Data Breach Investigations Report of 2017 revealed a frightening statistic: 81% of surveyed organizations had hacker related cyber breaches where an unauthorized person was able to break in using stolen or weak and easily accessed passwords. This percentage is a huge increase from their 2016 report that showed only 18% had some type of data breach infiltration. Those percentages look bad but the numbers they represent are even worse. Three billion records were leaked on the dark web last year. In fact, when we have gotten a chance to talk to the Cyber security pros, they admit that credential stuffing has quickly outpaced other methods and has become their number one priority. There are about 4 common ways cyber thieves and hackers get their hands on your info. They steal your databases. That’s the easiest thing for them to do. Usernames and passwords are readily available on the dark web. If you are unfamiliar with the dark web it is the place where anything from illegal drugs to hit men can be found. Studies have shown a veritable supermarket of passwords and logins for sale there. They are placed there for sale in bulk after they are stolen from companies like Dropbox. Hackers or other nefarious agents can buy, sell and trade these emails that offer access to millions of accounts that they can use in their planned attack. Leaks. Leaks happen more often than you may think. For instance, they might occur when data is transferred either internally or externally to a data center. These leaks are normally accidental and unintentional but they are a prime source of names and password theft. Going Phishing. Spamming targets with emails that connect to phishing links are not as common, but it happens enough to make it worth your attention. When a phisherman lands you, he can get plain text usernames and logins which are much easier to hack and use them to get access to your data. Botnets Are Another Way of Infiltration. Botnets and browser injectors increase the ability of attackers to breach your data security. Simply put, they gather and amass login data each time a user enters their information into online fields. Once in, the botnets are implanted into the compromised browser and automatically capture shared information. These methods are easily and often overlooked because a compromised browser doesn’t know the botnet is even there. What, If Anything Can These Infiltrations Do to You? Even the big boys like Sony, Amazon, Ebay have been reeled in and breached by cyber criminals. They get in often by exploiting an employee’s personal communications, contacts and friends lists. This allow them to easily jump over any computer security firewall. Credential Stuffing will impact more than individuals because the individual users often gives access to hackers to other data. Joe@businessname.com, once uncovered will often open the company to numerous break-ins because if there is a Joe@, there will be a Betsy@. And even though you may have policies in place that forbid workers from using their devices to sign up for online services, as most parents know, saying no is usually not enough. People are people, and it isn’t always in their interest to keep corporate data safe, or they may not realize that infiltration is a real problem. If they get hacked, all your company data will be at risk and that – in addition to everything else – can become a PR nightmare. These are a few quick tips that can help you increase your cyber security. These tips were shared with us by the best cyber security professionals in the world, so be sure to implement them right away. Redo your passwords and make them tough. Yes, most of us are lazy and don’t want to memorize some random series of letters numbers and symbols, but that is the most important thing you can do. Make sure you never duplicate any of your passwords. Enable Two-Factor Authentication – This is a quick, easy and smart move and a worthwhile second layer of security. It requires the logger to receive an additional security code sent to their device to gain access. Use a Password Manager – Using a program like LastPass or PassPack allows you to create a unique and strong password for all online accounts inside a secured online password vault. This can relieve some pressure on employees who have to memorize their passwords or codes. Find yourself a cyber-security expert to go through your platforms to uncover any compromised logins. And make your employees aware of credential stuffing and implement a plan to require employees to use unique passwords and two-factor authentication. To the average business owner these terms are pure mumbo jumbo. But if cyber security is defined as integrity, confidentiality and availability, then it is certainly something you need to understand, and if not then you need to get help to protect your computer information. It’s time you found someone who does understand the meaning of these terms and knows how to protect your business from the damaging effects of these vulnerabilities. Known in the industry as ICA (Integrity Confidentiality and Availability), proper ICA methods allow your company to recover from and defend against network accidents, hard drive failures and server system power outages. But equally as important, proper vulnerability preparedness can defend against cyber attacks by hostile outside forces, competitors, script kiddies, hackers and fun seekers who derive pleasure simply from taking you down. To be safe and secure, your business needs to plan for business continuity and vulnerability disaster recovery in the event of a PC network security breach. Security must start at the top of your organization. Protection against data breaches is something even your CEO should embrace. The information world we live is a fragile – one that can be entered and attacked – so it demands powerful and constant cyber security controls. All systems – no matter whether you use a server or keep your data in the cloud – should contain certain security standards all employees must be properly trained in and vigorously adhered to. Anything coded by one human can be decoded by another and all code has flaws and bugs that can be exploited. The weakest link is always the human element which means that if you use developers, they need to be trained to produce secure code. Staff must be trained to take a strong security stance. End users need to understand and look out for phishing and social engineering attacks. Internal panic can be averted when you know what to look for. It’s is no different than washing your hands before you sit down to dinner. But in the world of Internet privacy it means employing strong authentication practices and never storing sensitive data where it can be accessible. This may mean finding a good Managed Security Services Provider (MSSP), using cloud security or specialized data breach systems. The point is you need to be proactive and go well beyond the basics. Hackers today are sophisticated and shrewd. They can circumvent most defenses and their methods are growing in complexity and proficiency every day. And all of us are increasingly vulnerable. The electric grid, banks, even cars and power plants can now be threatened. Even the once sacred election process is now compromised by foreign sources. And as more and more organization migrate to the cloud, as more employees bring their own devices into the workplace and new challenges arise, businesses need to be prepared and bump up their data penetration testing, as well as their server hardening systems. A strong, vigilant and constant check and defense of your systems has never been more important. Now more than ever, privacy is king around the globe. Consumers want their information kept safe by vendors and the regulatory climate around consumer privacy is a huge issue today. The European Union’s General Data Protection Regulation (GDPR) is a strict framework for this. It demands that organizations meet the privacy and security mandates of the GDPR and other regulations. Business of all types need to protect themselves from a compromised situation. In doing so they need to hire managed security services providers, which means cyber security is a growth industry and will continue as advances are instituted and hackers seek to undo them. Companies need to sharply access their areas of greatest vulnerability and seek out professionals that can defend them. What Level of Cyber Security Do You Need? Network security is a must. Paying attention to network security helps you guard against unauthorized intrusion. Your staff must remember that there are a number of creative hackers out there and they constantly deploy destructive viruses and malware that can compromise your information. In the end, once you implement a few cyber security best practices, you may hear some griping about double passwords or extra logins, but it is worth the effort because just one hack can ruin your day. You may have to sacrifice some productivity, but imagine the productivity loss if your systems get hacked. Flag Alerts – There are tools to monitor security, but they can lull you into a false sense of security because valid alerts are often missed. To avoid that, real time flags and alerts should be considered. Store It in The Cloud – The cloud opens new opportunities and poses new challenges to cyber security. The problem is that data usernames and passwords are usually insecure. Breaches occur now with great regularity because of poorly configured cloud instances. As such, cloud providers are rapidly creating new security tools to better secure data, but as we all know, if there are treasures to be found, the diggers will be searching. Secure Your Applications – Application security (AppSec), begins with secure coding. That is the weak point of most applications. Few companies mitigate to all the OWASP Top Ten web vulnerabilities. Fuzzing and penetration testing remains a must. Unfortunately, DevOps was developed to prioritize business needs over security. That focus will likely change given the proliferation of threats as more and more companies migrate to the cloud. Internet of Things (IoT) Security – The things referred to include many critical and non-critical cyber physical systems. Examples are appliances, sensors, printers –even security cameras. These devices are often in an insecure state with no security patching. This poses threats to users as well as others on the internet. Botnets are springing up in many systems posing unique security challenges for all of us. What Cyber Threats Are Out There Looking for You? Confidentiality: Many cyberattacks begin with a target’s personal data. Identity theft, credit card fraud, bitcoin wallets – these are all prime targets of hackers. Other nations – our adversaries or enemies – are on the lookout for confidential info for political, military, or economic leverage. Integrity: Another name for simple sabotage. Integrity attacks attempt to corrupt, damage or destroy information or systems, as well as the people who need them. They can be subtle or overtly seeking to do real damage. Everyone from script kiddies to nation-state attackers can and do employ this tactic. Availability: The number one method attackers use to breach almost any business system is through the use of ransomware. Ransomware encrypts a target’s data then demands you meet their demands before they will decrypt it. Ransomware and denial-of-service attacks can be lethal and flood a network resource with requests, often crashing it and making it unavailable. This type of breach is usually handled through social engineering. In this method, attackers trick you into running a Trojan Horse program, usually from a website the user trusts and visits. Phishing is another method used. This works for hackers because it tricks you into revealing your password. Even well-trained users can be roped in. The best defense for this is the two-factor authentication method where a secondary password is sent to the user’s device. Unpatched software: Really, this is the worst type of hacking for businesses because it is caused by cyber security oversight. It is a failure of due diligence. It happens simply because your team does not make the necessary updates on time. If you know about it and don’t fix it, the burden is on you. Social media threats: These happen all the time and can get in as easily as attaching a phishing or malware program to your LinkedIn or FaceBook account. This is one that you need to expect to happen and be prepared for it when it does. Don’t be surprised if multiple breach hackers are already messing around in your corporate network. If you’re working on something other competitors might like to get their hands on, they will find a way to take it from you unless you are prepared to stop them. This is especially true with intellectual property. These are only a few ways in which your system can be and will be breached someday. This article is not meant to scare you, but to help you realize that cyber security breaches are not a joke and happen to businesses of every size. This is why it is important to take necessary data breach security measures and protect your data. It is what we should all be doing when we consider all of these cyber attacks. In fact, a recent cyber attack, called Wannacry has made the healthcare industry want to do just that. Cry. So far, this cyber breach rained havoc down on 16 healthcare industry businesses, affecting different medical practices to differing degrees. The cost incurred by cyber crimes is rising quickly as more and more hackers focus on the cyber world – a place where so many healthcare providers store information. A joint study made by Ponemon and IBM demonstrates that businesses in the healthcare industry are still being affected by cybercriminals, and the number of breaches is on the rise. In fact, the study called “Data Breach Report,” indicates that there is a per-capita cost of about $380 for each file breach. So, if you’re in the healthcare industry, beware, take a deep breath, steady your nerves and read on. Malware is a new, raging and serious threat to all industries, but perhaps it creates the most damage in the healthcare industry. It is especially concerning because issues of life and death may be involved. Healthcare depends on an intricate set of reporting and services that are interlocking and which communicate critical information to the healthcare providers. That makes the data vulnerable to ransomware and other malware attacks. After the WannaCry attack, hospitals were forced to deny admission of new patients and had treatment of existing patients interrupted because their records could not be accessed. Due to the increasing level of attacks a ‘Wall of Shame’, listing healthcare data breaches in the U.S., shows 288 data breaches affected nearly 4.7 million individuals – four times as many as in the previous year. Phishing usually begins as an email assault on a specific website, causing unusual spikes in traffic which can cause the site to crash. Verizon reported that 66% of malware is initiated as an email attachment. Shockingly, a whopping 98% of the healthcare industry providers are not taking steps to prevent this from happening by activating the Domain-based Message Authentication, Reporting & Conformance (DMARC). Threats from the inside, by patients and or staff is also of serious a concern, whether accidental or intended. 75% of respondents in the 2017 HIMSS Cybersecurity Survey reported that Insider threats seemed troubling enough and has caused some providers to improve their cybersecurity processes and set up protection programs. As more and more organizations migrate to the cloud, security threats will migrate with them. Healthcare’s use of cloud computing is projected to rise to 20.5% by 2020. Protecting data at rest and in transit requires robust encryption as well as other measures like second-factor authentication and complex passwords. Internet-connect devices are growing in popularity, and usage in the healthcare industry is important and shown to improve patient outcomes. A recent App called OpenAPS has optimized a data-driven insulin delivery system and other Internet-enabled activity trackers are now improving cancer treatment, but they come with risks such as DDoS attacks that could disrupt treatment. Redundancy issues and protection of personal data are also vulnerable as more hospitals become dependent on Internet systems. A negligent supplier can let cybercriminals in the front door. The TRICARE breach, that exposed 4.6 million military patient records happened that way. Regulatory frameworks such as the HIPAA Omnibus Rule in the U.S., are being enacted to strengthen protections. Secure authentication is the name of the game to minimize the problems of human-computer interaction. Passwords must be strengthened, changed often and require a two-stage process. 90% of hospitals run legacy applications to preserve patient data. This can open the door to the cybercriminal. The WannaCry attack infected machines that were running unpatched older versions of Windows such as XP and 7 by exploiting a vulnerability in the operating system. Penetration testing should be a first step to finding your vulnerabilities. In healthcare security, issues extend to all disciplines, suppliers, and even patients. The increased use of IoT devices make this a cause for concern everywhere. 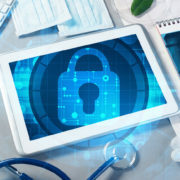 A recent paper, for the National Data Guardian, “Your Data: Better Security, Better Choice, Better Care,” recommends improving security across healthcare organizations. Citing the issue of “people and processes” as much of a problem as technology. Poor funding is a massive threat to security. Security and improvements in technology cost money for training and implementation, but they are as vital to everyone’s health as treatment is. If allowed cybercriminals will disrupt services to everyone within a society. Understandably, budgeting is an issue in the healthcare industry. However, cutting out or reducing expenses in cyber security is not the best answer. A cyber security attack is not a matter of “IF” but instead of “WHEN”. And if the organization is not prepared with a cyber secure environment the costs will be enormous. In this respect cyber security is much like insurance, something that you must have. You show up for work all bright and shiny one day, fire up your computers and…suddenly you feel your heart leap in your chest and your hands begin to shake. Your data, the lifeblood of your organization, has been erased. What happened? Now what are you supposed to do? When it is all wiped clean by wiper malware, there is not much you can do. Which is why it is so important to protect your data and implement state-of-the-art data security measures that will help you replace that lost data. Wiper malware, the villain of this real life horror story, almost brought Sony Entertainment to its knees in 2014. The recent attack associated with North Korea, used something called Destover to do its dirty deed. The cyber world has captured the imagination of criminal minds and other hackers. It is the wild west all over again, but this time wars will be waged without bullets. Attacks will come without bombs or soldiers. Instead cyber attacks will be fought from swivel chairs. Every business and every person that is connected to the web can easily become a victim. So if you have a 100,000 word novel or your company’s financial life on your computer systems, you better have some type of cyber security plan and backup in place. A rose by any other name is still a rose, only in this case it is Wiper malware, also known as Shamoon, Black Energy, Destover, ExPetr/Not Petya and Olympic Destroyer and others. Their purpose is to destroy systems or data and cause reputational damage or financial loss. Sending a message – typically to make a political statement. Cover their tracks after data exfiltration. Yes, destructive cyber attacks have been around for a long time. But the delivery method of wiper malware is significantly more evolved and damaging and can range from overwriting files to the destruction of entire file systems. The typical Wiper malware looks at three targets: files (data), system boot section, and backups (located on the system). It usually targets all three areas simultaneously. It is an unsettling moment when fact and truth are no longer the same things. The newspaper and 24/7 cable news channels show that opinion, elections, and information can be manipulated, controlled, targeted and (gulp…) erased. So far it’s been mostly politics, but that will soon change as hackers learn to do more and more damage. 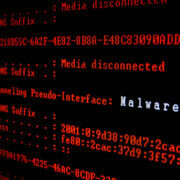 In a report entitled “Wiper Malware Analysis,” David McMillen stated that malware attacks basically began in 2008 with a malware called Narilam. This computer compromise method attacked financial and business software packages primarily used in Iran. In 2009 and 2010, two more, called Dozer and Koredos were deployed in South Korea. Shamoon, reared its ugly head in 2012 and took out 30,000 computers at Saudi Aramco. Another in the growing list of villains called GrooveMonitor/Maya, was reported in Iran and an aptly name package called Dark Seoul showed up in South Korea. Some launch one-time attacks on a specific date, others move more gradually doing their damage over a longer period of time, allowing remote command-and-control center access to the system. Hackers can now potentially move into extortion, blackmail, and ransom as the value of data increases exponentially. As creative as the malware becomes, so too will the creativity of the hackers or political activists that want to sway things their way. With vast amounts of money, influence and power at stake, the duty to protect your data have never been higher. Erasure, exposure and extortion can all come your way, regardless of how careful you think you may be. If you take these vital steps to secure your data, you won’t have to worry about Wiper Malware ruining your bright and shiny day. Data breach schemes now join hands with ransomware. And the damage could be immeasurable. Ransom! It’s the oldest crime in the book, and yet, we were all surprised when criminals took it online back in 2014. Have we since solved the issue? No. Those businesses who have not taken cybersecurity serious are still very much at risk. Ransomware popularity still continues to skyrocket, primarily because of the huge profit left by its victims. Unlike other cyber attacks where hackers steal data and then sell it somewhere, criminals who use ransomware as their primary means of attack receive direct payment from the victim. What do they do? These cyber attackers compromise the business data environment – and the rewards are huge. Besides, getting the victims to pay, now they do so anonymously by requiring victims to pay in digital coin such as bitcoin. The most recent of these data breach crimes was the massive WannaCry attack. This bug affected more than 74 countries and thousands of computers. Originally, an NSA program used to spy on targets, it was stolen from the agency and leaked in April of 2017. The cyber criminals used it for ransomware and spread it throughout the world. After landing on a computer, it encrypts files and charges from $300 to $600 in blockchain currency (Bitcoin) to restore the documents. This is just one case of this type of successful hacking events, there were many before it, and without a doubt there will be many more to come. 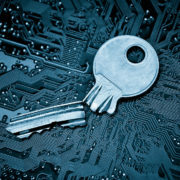 Data breach efforts using ransomware have so far focused on file encryption, but future variations may bring in a combination of compromise methodologies. Many hacking pros already realizes that taking files for ransom is just one method of making easy money. Attacking systems in this way, whether through vector corruption, exfiltration or disruption, then demanding a ransom may be the future of the newer and more conniving hacking environment. What Is the Future of Business Data Breach Hacking? Here are a few possible trends we may see moving forward with this type of data breach. Data Corruption – while this is the most common type of hacking of this type. Lately we have also seen database corruption attacks against MySQL and MongoDB. Backup Encryption or Wipeout – Backups are important as a way of mitigating ransomware. However, they can also be compromised and the process of getting systems back up can be costly for the enterprise. Data Exfiltration – Stealing highly classified documentation usually means that hackers are looking for money, and in some cases holding the data for ransom is less profitable than selling it on the darkweb. It’s reasonable to assume that in the future most hacking attacks will also include some type of ransomware or extortion. It is through these infiltrations that data breach attackers will demand a ransom to stop, or in some cases, reverse the hacking attack. Considering this, organizations need to step up their cyber security efforts and protect their assets. How Can Your Organization Protect Itself from Ransomware Hacking Attacks? Dealing with ransomware is not easy. But we have added a few tips that can help your organization maximize its security, and in doing so, prevent an attack, or in case of infiltration, of minimizing the damage created. Conduct frequent data security audits, improve monitoring functionality and implement a reliable alerting system. These actions will allow IT teams to take immediate action and respond to breach situations. Enable real-time blocking.This allows for the organization to prevent attacks, and it goes a step further by giving your IT team a warning, allowing the team to block and quarantine users or hosts whose systems are in a state of compromise. Plant data decoys for hackers to steal and then alert IT teams of a hacker’s infiltration of the dummy data. This gives you an advantage and protects your real data from being hacked. Deploy a cyber security solution with one management console to centralize the protection and file information. Some may argue that it’s unlikely for a victim to pay the ransom when an attacker is threatening to disclose data or wipe your data, mainly because the victim has no guarantee the attackers will stand by their word and dump the sensitive data or decrypt the data or won’t attack again (attackers are malicious and untrustworthy by definition, of course). Though in practice, we can see that attackers are getting paid. Odd as it sounds, ransomware “vendors” do care about their reputation. They want victims to know they stand on their word – that if you do pay a ransom on time as demanded, they will stop or reverse the attack. Otherwise, their reputation is tarnished, which could potentially destroy their business model. In conclusion, crime associated with ransomware and cyber extortion, is just getting started. The potential profit to hackers is great, and the potential risk to organizational data is even greater. It is important that enterprises take steps now to protect against these type of attacks by implementing reliable cyber security measures. According to Breach Level Index 4,996,388 records are stolen every year, 208,183 every hour, and 3,470 every minute. This is a huge number – and that means we are not addressing cyber security issues as we should. As businesses, it is our obligation to protect all the data we receive. And yes, we use data for everything: for statistics, growth analysis, customer databases, customer financial information, customer trends, etc. Having access to this data is fantastic as it allows us to process payments, direct offers to customers, keep financial and contact information for our client base, and even touch base on social media. Truth is that the effective use of data allows a business to achieve its fullest potential and quickly. But with this use of data comes responsibility. 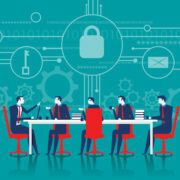 Unfortunately, cyber security is an afterthought for most organizations. After all, there is no reason to worry, the most confidential data is kept in the cloud. And cloud providers encrypt the data anyway, right? Yes, very few organizations house their data in-house, and most business IT equipment is not equipped to handle large amounts of data. So your business is probably storing the most important information in the cloud. But just because you store it offsite does not remove your responsibility for protecting this information as best you can. Remember the statistic we listed at the beginning of the article? Something is still wrong for these numbers to be so high. The fact of the matter is that cloud encryption is no longer enough. You have both a regulatory and commercial obligation to keep customer information, sales, and analytical data safe. The problem with the cloud lies in the key. Commercial cloud storage systems encode data with a special key, known as an encryption key. Hold on. Did you say ‘key’? Exactly! This is a key, and without it, the files look like gibberish. But keys can be stolen. When it comes to cloud storage, the key takes on the form of a password, which allows data to be locked or unlocked. And that key, along with other important information, is held by the user (usually on the enterprise system). Are you getting my point here? Keys are stolen all the time, and if someone else gets ahold of the key it can result in a huge data compromise. You must ensure that all of your business data is kept safe. And relying wholly on cloud storage encryption may not be the answer. To maximize cloud storage and enterprise cyber security, it’s best to combine various encryption approaches. For instance, before uploading data to the cloud, you should first encrypt it using specialized encryption software you either find as an open source tool or purchase for added cybersecurity. A few types of encryption software options include Cypherix Cryptainer PE, or InterCrypto CryptoExpert 8. 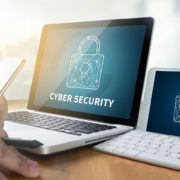 These types of cyber security programs offer additional security for files or data that remains on the enterprise system – or even for data to be loaded into the cloud environment. And of course, an additional way to protect all of your data, both the information you store on your computer systems, as well as that which you store in the cloud, is to implement a big data solution that addresses cybersecurity processes. Software solutions like ArcSight offer insight into security threats in real time. This type of software allows you to track, organize and view and act on cyber attacks occurring on your personal business computer systems as well as your cloud operations in real time. All data – whether stored in the cloud or on an enterprise server – faces significant cyber security issues. And it is important that all businesses, large or small, address the need for better encryption processes. As the person responsible for your enterprise data security, it is vital that you implement state-of-the-art cyber security strategies to improve data security and protect all of your business data. As network technologies and application features evolve at an ever-increasing rate, so too have the associated security vulnerabilities. But have our efforts to identify these vulnerabilities kept pace? Has security penetration testing evolved since its origin in the seventies? How have we changed our security testing approach, tools and methodology to meet the challenges of the changing threat landscape? To answer those questions, we’ll need to understand penetration testing. Penetration testing is an authorized and proactive effort to assess the security of an IT infrastructure by carefully running tests to exploit vulnerabilities of the system, comprises in an operating system, misconfigurations, service errors, and even unsafe end-user behaviors. These evaluations help confirm the effectiveness of defensive mechanisms and adherence of end-users to security procedures. The goal of professional or amateur hackers is to steal information from your corporation. They may be after money or simply seek to sabotage your company. If you think about it, one single incident of system downtime can make a huge impact on your company’s reputation. Your business partners or customers may think twice about the security of their relationship with your company. You may think a Windows® firewall and regularly updating your password is enough to ensure your security. Sadly that is not enough. Highly skilled hackers can get into your system easily and get all necessary information from you without you even knowing it. Any company, corporation, or organization that relies on IT should have their system security tested regularly and update their security features to prevent the negative effect of system downtime and illegal hacking. There are numerous benefits of employing penetration testing. A penetration test (pen test) estimates the ability of an organization to defend its applications, networks, users and endpoints from internal and external attempts to dodge its security controls to achieve privileged or unapproved access to protected assets. Pen test results confirm the threat posed by particular security vulnerabilities or faulty processes, allowing IT management and security experts to arrange remediation efforts. Organizations can more efficiently anticipate emergent security threats and avoid unauthorized access to crucial information and critical systems through executing regular and complete penetration testing. IT departments address the overall auditing/compliance facets of procedures such as HIPAA, SARBANES – OXLEY, and GLBA, and report testing necessities recognized in the federal NIST/FISMA and PCI-DSS commands. The complete reports produced by the penetration tests can assist organizations in evading substantial penalties for non-compliance and let them illustrate ongoing due diligence into assessors by maintaining required security controls to auditors. Recuperating from a security flaw is expensive. Recuperation may include IT remediation efforts, retention programs, and customer protection, legal activities, reduced revenues, dropped employee output and discouraged trade associates. Penetration testing supports an organization to evade these financial setbacks by proactively detecting and addressing threats before security breaches or attacks take place. Even a single occurrence of compromised customer data can destroy a company’s brand and negatively impact its bottom line. 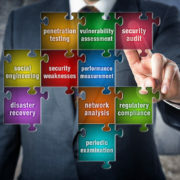 Penetration testing helps an organization avoid data incidents that may put the company’s reputation and reliability at stake. Security faults and any associated disruptions in the performance of applications or services may cause debilitating financial harm, damage an organization’s reputation, grind down customer loyalties, generate negative press, and incur unanticipated fines and penalties. Frequent employment of penetration testing avoids these expenses by the organization. Penetration testing helps your organization avoid IT infrastructure invasions. It is better for your business to proactively maintain its security than to face extreme losses, both to its brand equity and to its financial stability. 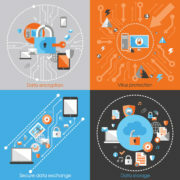 Penetration testing should be carried out whenever there is a change in the network infrastructure by highly experienced experts who will scrutinize internet connected systems for any weakness or disclosure of information which could be used by an attacker to compromise the confidentiality, availability or integrity of your network. If you would like more information, contact LP3. We will be glad to help you make an informed decision on penetration testing for your IT environment.